← Have You Tried: Making Bagels? If you really stop and think about it, all the ways that we interact with our food (growing, raising, packaging, distributing, cooking, consuming, composting, digesting, landfilling, and more) have a huge collective impact on our planet. Over the decades since the first Earth Day in 1970, the human race has conjured up numerous ways to lessen the detrimental effects our food system has on the earth–organics, permaculture, eat local, to name a few. Here’s a new one that you might not have thought of before–Invasivores. An Invasivore is someone who seeks to eat (not exclusively, but in part) those pesky invasive species. * While I have in fact eaten an invasive species before, I’d never thought of myself as an Invasivore. (Yay! Always fun to have a new way to define myself.) But I guess the idea itself isn’t really all that new and has even been written about in the New York Times. So, if you’re west of Chicago, consider dining on Asian Carp – a monstrous, jumping fish that has all but taken over the Illinois river. If you live in, or travel to, Europe, you might want to try some Eastern grey squirrel, which is outcompeting the native red squirrel. 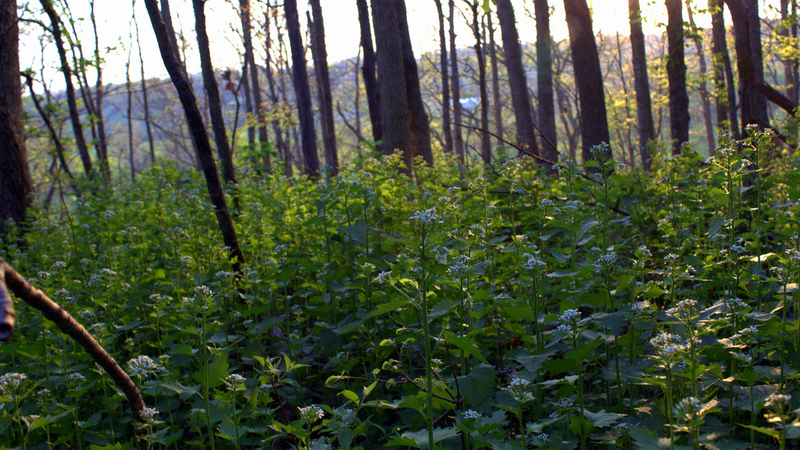 And, in the Midwest and Northeastern US, give this recipe for Garlic Mustard Pesto a try. These examples are just a few! There are whole pages of recipes online thanks to Invasive Plants Atlas of New England, and Mid-Atlantic Exotic Pest Plant Council. So, eat away at these invasive species that threaten to ecosystem biodiversity. 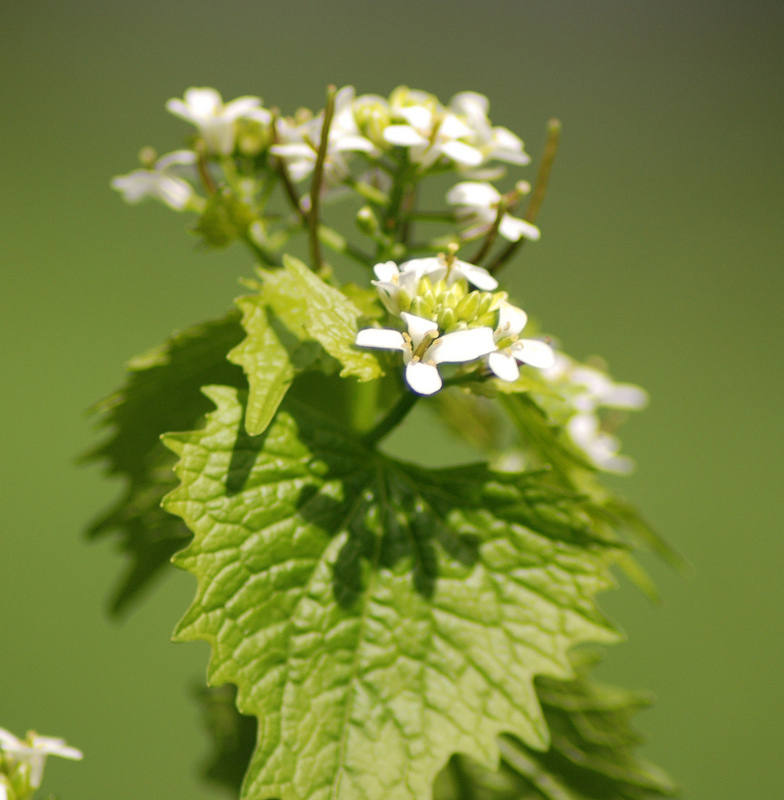 Thinking about tackling an invasive plant species in your yard? Remember that each one should be removed by a specific method. Check out this resource from the National Park Service for info on exactly how to remove each one. While you might think that simply pulling it up or chopping it down will solve the problem, you’re most likely wrong. Some species have seedbanks in the soil that last for five years, others will simply re-root or re-grow if the plant is not completely removed from the environment. So read up, eat up and enjoy! *Invasive species commonly defined as non-native species that adversely affect the environments they invade. Essentially what happens is that a species is brought from somewhere else and introduced to an area where it has never lived before. The new location lacks predators and similar species that fill the same niche have little time to adapt, so the introduced species reproduce quickly and outcompete the natives. This entry was posted in Food Transparency (the issues), In the Kitchen (recipes & more) and tagged Asian Carp, Earth Day, Eastern Gray Squirrel, Garlic Mustard, Invasive Species, Invasivore, Meg Fairchild, recipe. Bookmark the permalink. Glad to see you’re exploring the possibilities for invasive meals- you’ve suggested a few good options here. You and your readers might also be interested in checking out invasivore.org for additional recipes as well as more information on biological invasions.